MAC addresses can also be used for less nefarious purposes. For example, if your computer is stolen on a university's campus, the IT department may be able to use its MAC address to trigger an alert when the criminal connects your computer to a university network. 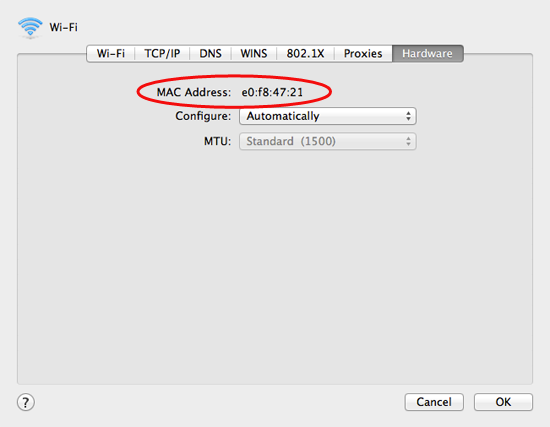 For reasons like this, it can be a good idea to find and store your Mac's MAC addresses. 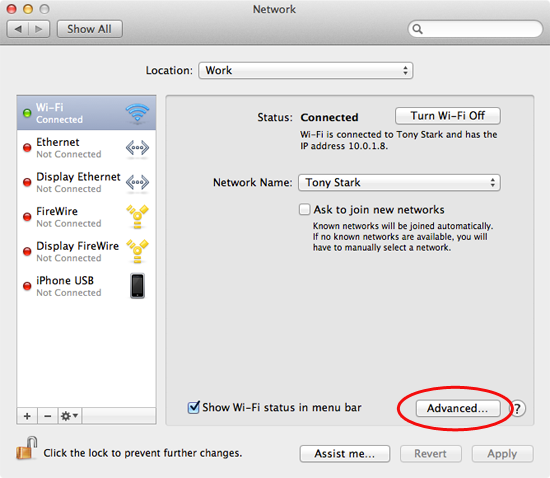 From the sidebar, select a network interface, such as Wi-Fi. (Remember, every network interface has a different MAC address.) The window shown below appears. Select the Hardware tab. The window shown below appears.